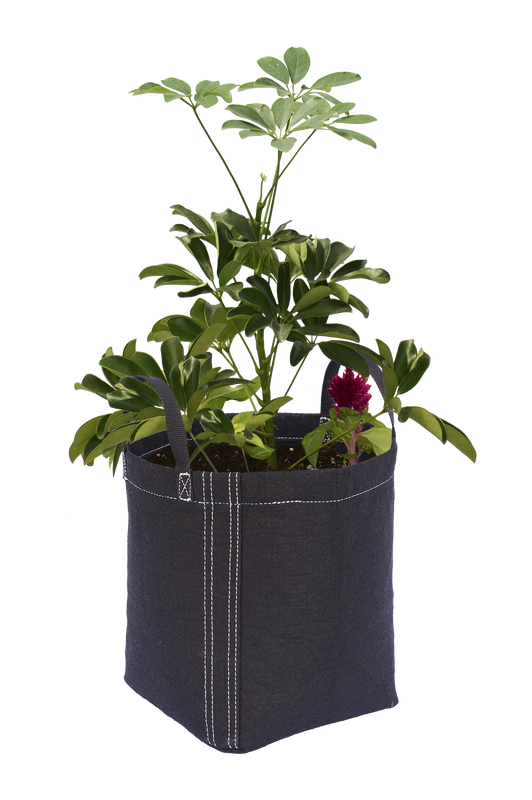 Geopo﻿t is a breathable fabric plant container, that air prunes your roots when they reach the edge of the container. This air root pruning process forces your roots to branch out with more fibrous feeder roots, which are more efficient in taking up water and nutrients. The porous fabric allows air into the root zone and provides great drainage, creating a healthy environment for the roots. With the combination of air root pruning creating a better root structure and the aeration of the root zone, your plants can reach their full potential! 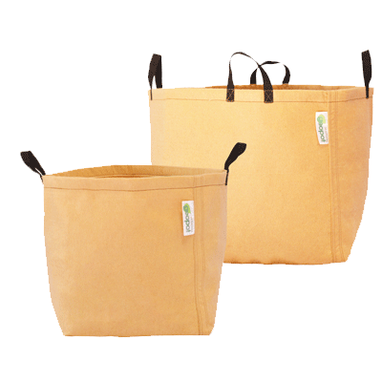 GeoPlanters offer the same great features as GeoPots, but are larger than a single pot. The primary advantage of the GeoPlanter is its air pruning capability, which results in healthier roots being able to provide more nutrients to the plant. With traditional plastic pots and wooden planters, the plant’s roots will reach the edge of the container and be force to circle the container in search of a friendlier environment. As these roots circle, minimal lateral branching will occur resulting in poor nutrient uptake and the roots to quickly become root bound. Four Seasons offers a full line of Gro Pots and planters. Our self supporting pots and PVC enforced planters provide many options for portable, flexible gardening environments. See why these flexible, potable systems have become popular alternatives to traditional planting and raised beds. We work with many products to produce the best results for each situation. GeoPlanters GeoPlanter porous fabric allows air to enter the root zone from all surfaces of the container. This aeration provides a healthy environment for the roots as well as supports beneficial microbe and bacteria. This aeration provides oxygen to the roots, which is essential for the metabolic process for the roots to take up mineral and nutrients. Oxygen is also necessary to diffuse carbon dioxide away from the roots caused by the respiration of root cells and microorganisms. Roots without adequate access to oxygen will result in weaker plants that exhibit slow growth and are predisposed to pests and diseases. A common problem with traditional plastic containers is poor drainage leading to anaerobic condition that result in soil borne diseases like Phytophthora and Pythium, responsible for devastating root rot. 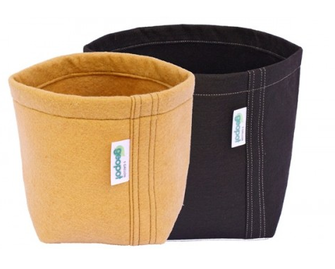 Because of GeoPlanter unique porous fabric, excess water can easily drain from the container keeping moisture at an ideal level for healthy plant growth. GeoPlanter allows air to penetrate the sides of the container, keeping it cool when exposed to direct sun on hot summer days through the process of evaporative cooling.